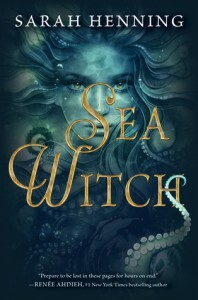 Sea Witch was marketed as a prequel to The Little Mermaid meets Wicked, and since I love both, I immediately requested to read and review this. It’s the story of Evie, a young Danish girl secretly a witch, and what she’ll do to save the people she loves. If you know either The Little Mermaid (both the Disney version, the original Hans Christian Anderson tale) or Wicked, you’ll recognise the tributes to both within the narrative, although it’s all weaved together by elements of originality. It’s also got a wicked twist that’s worth reading even if leading up to the twist is a little frustrating. that Evie’s never really sure if her magic works or not. Her spells almost feel like ritual superstition. That is until all of a sudden yes, her magic works in spectacular ways, but only with an audience that will threaten her life. It was frustrating to read that Evie may or may not have been any good at magic except when she needed to be exceptional. She constantly regretted not training more but managed to cast powerful spells when needed. I found the lack of consistency frustrating. Where did her sudden confidence come from? Is she supremely gifted or just lucky? I really liked the other characters in the novel, specifically Nik and the mysterious girl Evie vows to help. I appreciated how much effort the author put into developing Evie’s friendships with these two characters. It was nice to see a boy-girl friendship untainted by romance but with the interesting twist of them also increasingly aware of becoming grown up, and the added awkwardness between them as Nik was pressured into finding a bride that could in no way be Evie. The worldbuilding was fine, if a big vague. I loved how everything revolved around the ocean and the Danes revered it as almost sentient. The setting, on the other hand, was extraordinarily vivid. I could almost smell the fish, feel the ocean, the storms, the rocking of the ships. The best thing I can say about this book is that the payoff is worth it. It opens with a prologue that doesn’t really seem significant until quite far into the novel. I was constantly thinking to myself, How is this prologue relevant? In the end, it was very relevant, and also kind of awesome, but I had to read almost the whole novel to get to the pay off. Which is, I know, often the point of most novels, but the point here that I want to reinforce is this: do not give up on this novel if you are feeling frustrated by the slow pace or a plot where you feel not much is happening. The focus to me felt much more on the friendship between the main characters, so sometimes it felt like there wasn’t a lot going on, especially in the middle part. But it’s worth it in the end.